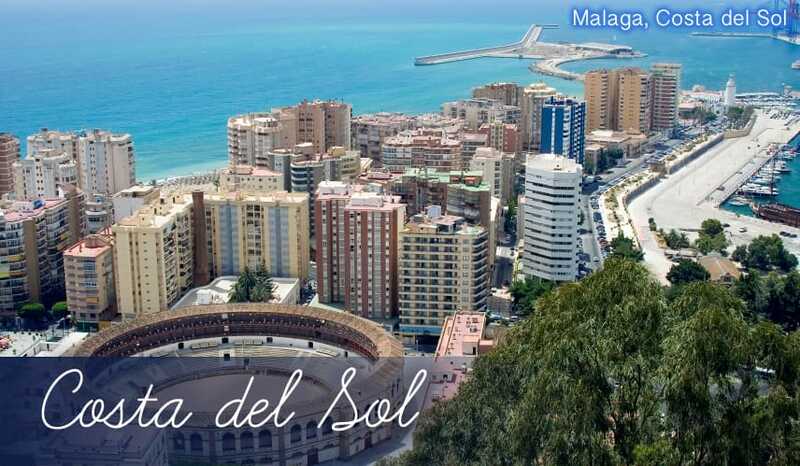 Peaceful holidays: Manilva holidays 2019 are some of the least well known of all holidays to the Costa del Sol. The benefit to you is that holidays to Manilva are far less busy, even during the summer holidays. Manilva holidays also have a rather unspoilt quality, and you won’t see any ugly high-rise buildings here. Three areas in one: Although Manilva holidays only feature a rather small, quiet village, it still consists of three areas all with a completely different character. You’ve got the beautiful coastline of San Luis de Sabinillas, the relaxed marina of Puerto Duquesa and the actual inland, whitewashed village of Manilva itself. Historic attractions: Manilva holidays are also home to a number of little-known historical sites. These include (still fully functional) Roman Baths, a Roman aqueduct and an 18th century castle. Roman baths of Hedionda: The naturally occurring sulphur spring here was first noticed by the Romans over 2000 years ago. Interestingly, this site must surely lay claim as one of the only archaeological areas that you can actively take part in, just like the Romans did when they visited Manilva for their holidays in the Mediterranean. As the sulphur spring is still running strong today, you’re allowed to dive in and enjoy the conditioning effect it has on your skin! Perfect after a hot afternoon spent sunbathing on your holidays in Manilva! Roman Aqueduct: Only around 100m of this reputedly Roman Aqueduct remains. Nevertheless, it’s an impressive structure of terracotta-coloured arches, jutting out from the overgrown greenery of the countryside in Manilva. Castillo de la Duquesa: This flat castle was built with a flat and low height, unlike the watchtowers which are often found on holidays to the Costa del Sol. However, this castle was not built with military defences in mind; instead it was built as a home for an incredibly rich Spanish nobleman, Francisco Paulino. He actually needed a home of such size because he was given an entire cavalry as a gift by the Spanish King. If you’re visiting it now on your holidays to Manilva, you’ll see it currently houses various exhibitions displaying historical artefacts like military weapons and old outfits from its illustrious past. Golfing holidays: Marbella holidays are often famed for their excellent selection of golf courses, especially the ‘Golf Valley’ which has over twelve golf clubs in a five mile radius. However, holidays to Manilva and Estepona are equally as attractive for golfing holidays. La Duquesa is the nearest of the golf courses in Manilva – it has challenging sloping fairways that give great views of the Mediterranean. You can even see the tip of Morocco in the distance as you walk from hole to hole. Aside from that, the next nearest club is the newly designed Dona Julia. You’ll find three superb courses here to practise your strokes, and being one of the more modern developments it also comes with handy facilities such as a luxury on-site hotel offering all-inclusive holidays, buggies and most important of all, pristine perfectly trimmed greens! In the further surrounding area you have many more golf clubs to choose from, including Casares, Estepona and Valle Romano. Colonia Beach: 2km out to the coast from the inland location of Manilva holidays, you’ll reach San Luis de Sabinillas, a charming holiday resort. There’s over 8km of coastline here consisting of small (so tiny they’re often unnamed!) coves, with the bulk of the beach being taken up by Colonia. This impressive stretch of light golden sand is very flat, and stays remarkably empty even during the summer holidays. Looking out to sea, you can see the silhouette of mountainous vistas with brilliant white villages beaming out from them. The beach is lined with green shrubs and colourful flowers, which all add to the pleasant sense of serenity you’ll feel sunbathing on your holidays here. San Rafael: This traditional Spanish restaurant is the perfect place to visit if you want to sample the country’s classic dishes whilst you’re on your holidays in Manilva. They offer something more substantial than the tiny tapas offered elsewhere too, with wholesome filling meals made with spiced pork, fresh king prawns and a variety of line-caught fish. Sabor Toscano: Take your chance to enjoy authentic flavours from Italy, whilst enjoying the beautiful Spanish surroundings of Manilva holidays! The ravioli here rates highly because all pasta is freshly made on the premises. Armstrong’s: Fancy a taste of home while you’re on holidays in Spain? You’d be best to head here. Armstrong’s offers the British classics we know so well, and serves them beautifully cooked too. Why not treat yourself to a slap-up meal of steak pie and chips whilst you’re on holidays in Manilva. Quiet drinks: There aren’t a huge number of bars in Manilva holidays, and those that you will find are generally grouped in the coastal area of Sabinillas, 2km east of the centre of Manilva. You can take your pick from more traditionally Spanish bars such as Bar Centro, Bar Los Amigos and Bar Maria, or there is a smattering of British bars in Manilva where you can drink well-known beers and enjoy Sky TV. Look out for places like Bar Med, Fathoms, Graingers and The Last Resort for British and Irish themed bars where you can enjoy cool lagers and the TV’s latest sporting action! Small shops: Being a rather small, traditional Spanish village, Manilva holidays only feature a limited selection of shops. Quality over quantity is certainly the case here though, as it’s possible to uncover some real treasures in the local crafts shops in Manilva. If you search hard enough, you’ll find stunningly beautiful handmade jewellery, as well as artistic paintings and rustic wooden furniture and baskets. If that still doesn’t satisfy you, you can make the short trip to the coastal town of Sabinillas. There’s a boot-sale held in Sabinillas every Sunday, and there’s a good chance you could find many bargains with very cheap prices, especially if you practise your bartering skills!